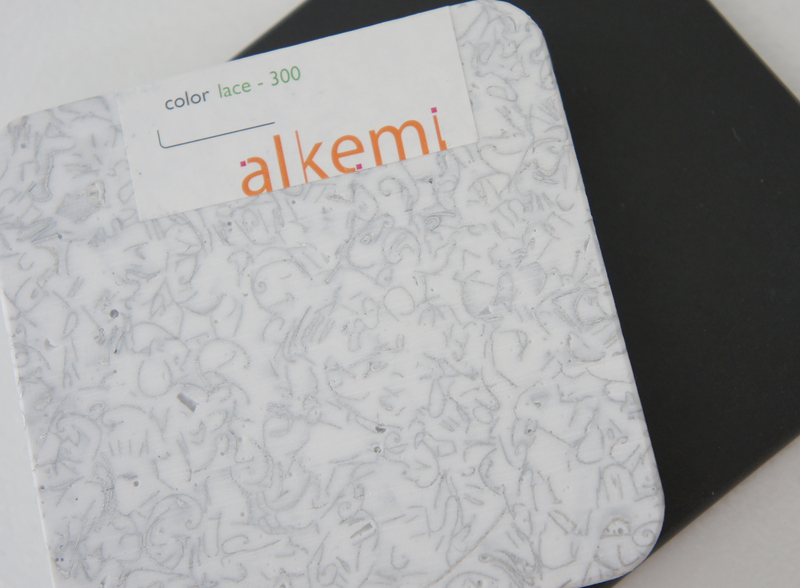 If you are looking for a solid surface option that is a little modern, industrial, vintage-y… ALKEMI is a fun option with its post-industrial aluminum scrap flakes. The two available lines are ALKEMI-acrylic from Buffalo, NY and ALKEMI-polyester from Baltimore, MD. The acrylic v. polyester refers to the resin material which binds the scraps. Make you think twice about not recycling your cans? ALKEMI-acrylic is the no-VOC option made using recycled acrylic, and is SCS (Scientific Certifications System) certified to have a minimum 91% recycled content. It can be recycled endlessly after its life cycle. Finishes can be from matte to a high gloss. 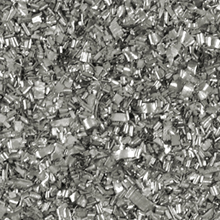 ALKEMI-polyester is low-VOC made using virgin polyester resin and is certified to have minimum 34% recycled content. It is offered in classic or honed finish options. 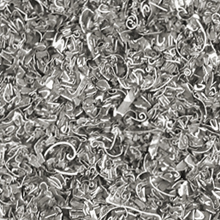 The classic displays whole aluminum flakes and honed displays the cut edge of the aluminum flake. Both options are offered with a smooth top coat finish, and can be seamed, sanded and polished by the fabricator. The nitty-gritty. ALKEMI is stain-resistant against most common liquids, however any acidic liquid (including red wine – uh oh) can stain if left to remain on the surface for an extended period of time. Same goes with scratches. It is a durable product but excessive abuse and wear may compromise the surface. Good news is that these types of stains/scratches can be sanded and polished off to restore the surface. Within the ALKEMI-polyester line there is an opaque option, which we like best when talking residential designs. The opacity gives a warmer look and tones down the amount of visible scraps. Our color pick is the Lace 300. 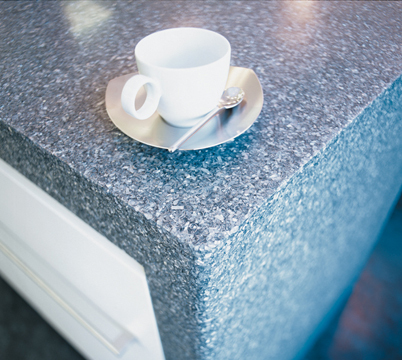 What do you think, would you consider this type of countertop for your home? Sealants: ALKEMI does not require surface sealing but the exposed cut edges of ALKEMI-polyester should be sealed with a clear coat resin. Maintenance: use soap and water or gentle liquid cleansers, free of bleach and ammonia. 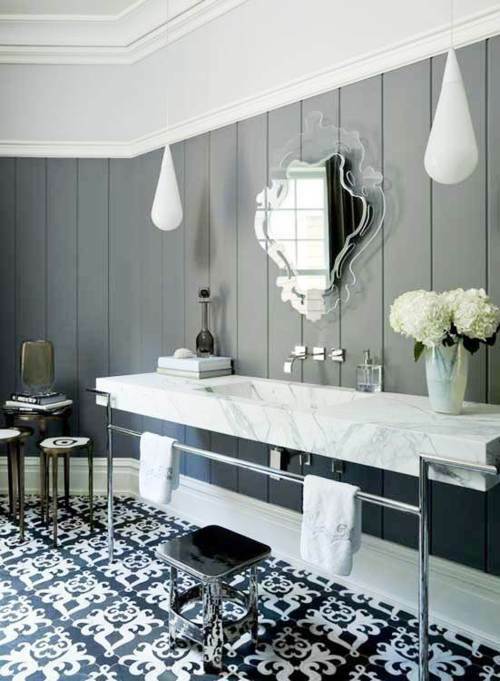 Price-wise it is comparable to a Corian or Granite. ALKEMI-acrylic is offered in sheet sizes of 36″x72” and 48″x96”. ALKEMI-polyester is available as 36″x120” and 36″x96” sheets. ALKEMI-acrylic tabletops are available in many standard sizes.